Singdam fights Kongpipop at the 5 Star Chicken Tournament in November 2006. Just thought I’d share some of Kongpipop’s past fights before he switched to King Boxing and went international. 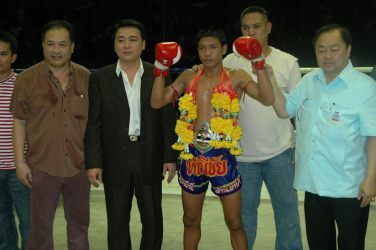 Hard to believe at one time Kongpipop was 135lbs Nak Muay. ~ by fatsoking on August 19, 2009.